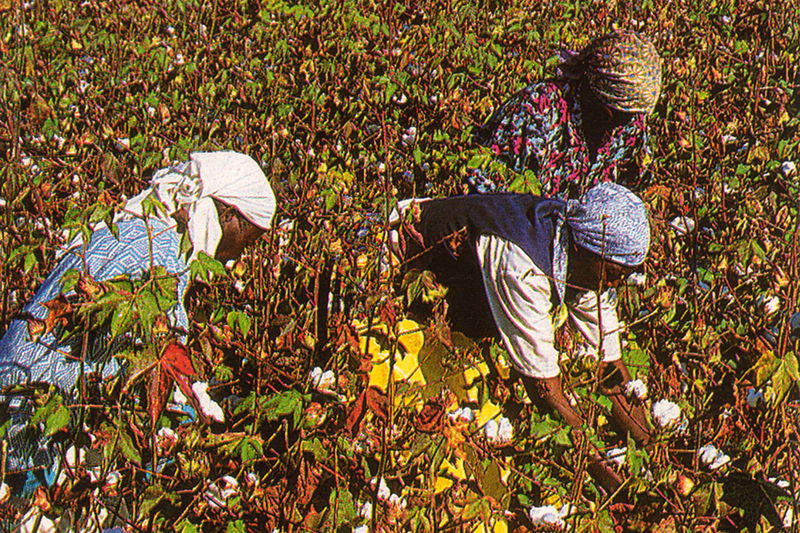 Zimbabwe cotton is grown through the grace of Africa’s great natural environment, and boasts the highest quality in the world. It combines flexibility with excellent dye ability, and because machines are never used and harvesting is done solely by hand, cotton can be harvested with less damage and fewer impurities, featuring excellent whiteness, a highly uniform fabric, and a rich sheen and softness to it. This cotton is highly regarded in Europe, and is used mainly in high quality dress shirts. Indigo dye has properties that make it so unstable that it is often called “creature”, and jeans are currently only dyed in limited colors because advanced machine facilities and long experience are required in order to create deep colors with less color drift. 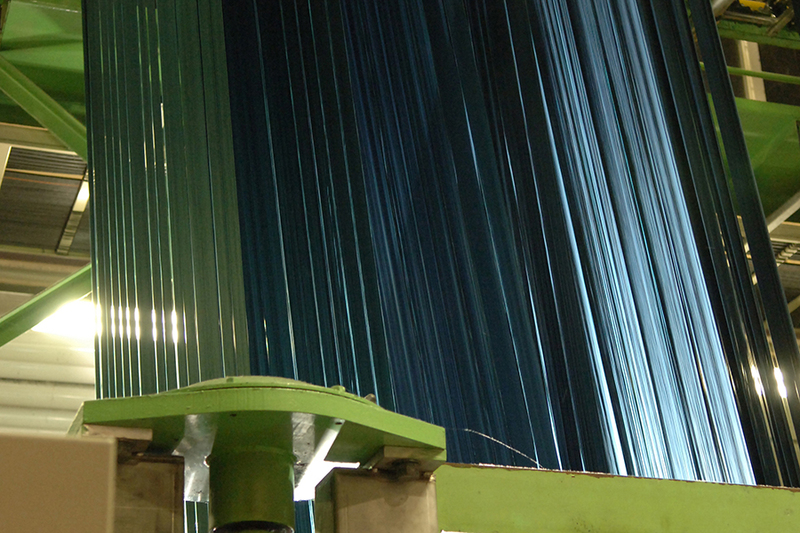 However, from our challenge to actively develop new colors for material development as a denim maker, through data and actual results, and a relationship of trust we have with factories, it is possible for us to propose original indigo colors specific for Momotaro Jeans. Selvage, denim with natural endings, is indispensable to vintage denim. This is evidenced only with denim which was woven by a vintage machine called a shuttle loom. But it is not enough to call something real denim simply because it has natural ends. Skill-full weaving at low speeds by an artisan is necessary. Only then is non-planar irregular high quality denim born. In order to apply the finish to transform real denim into real jeans, weaving via a special vintage sewing machine is also indispensable. 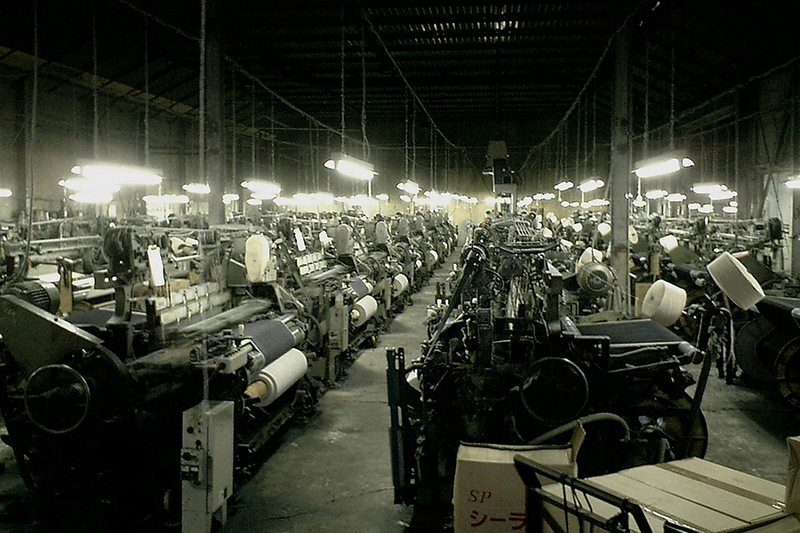 Japanese sewing machines made mass-products possible and became mainstream around the world. 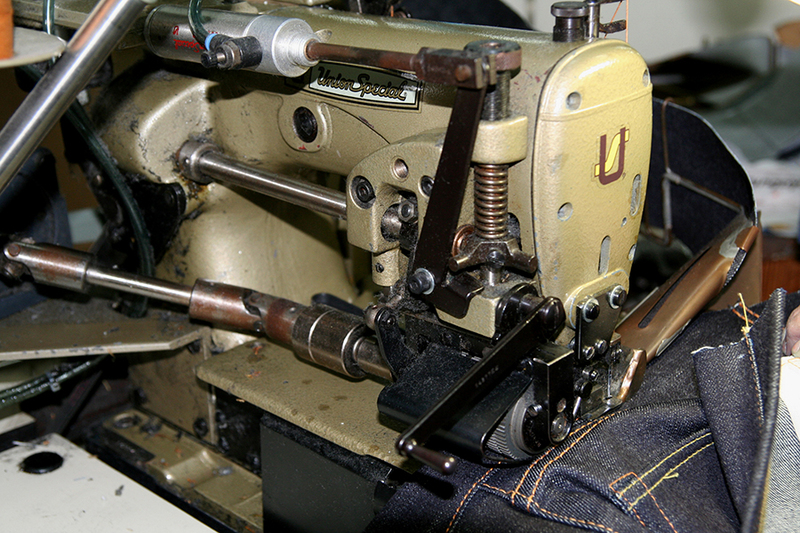 As they differ in structure from the vintage sewing machine of the “Union Special Corporation”, there is a great difference in secular changes after long-time wear such as a unique crook and puckering in particular, at the hem and lapping seam.